Desktop 3D printers are being found in the manufacturing industry at an increasing rate. This is because fused filament fabrication (FFF) systems provide an affordable and accessible method for producing manufacturing tools, jigs and fixtures that speed up a company’s time to market while reducing the costs associated with having these parts made by a third-party service provider. In the case of Volkswagen Autoeuropa, relying on Ultimaker 3D printers to fabricate these components in-house resulted in a 95 percent reduction in development times and a 91 percent drop in costs, saving the company what is estimated to be hundreds of thousands of dollars over the course of a year. How is such a phenomenon possible? Located in Palmela, Portugal, Volkswagen Autoeuropa is the company’s assembly plant associated with the production of the Volkswagen Sharan, Scirocco, Eos and the Seat Alhambra totaling over 100,000 vehicles per year. Those unfamiliar with such a large-scale manufacturing operation may not be aware of the fact that, key to streamlining the production process are tools, jigs and fixtures. 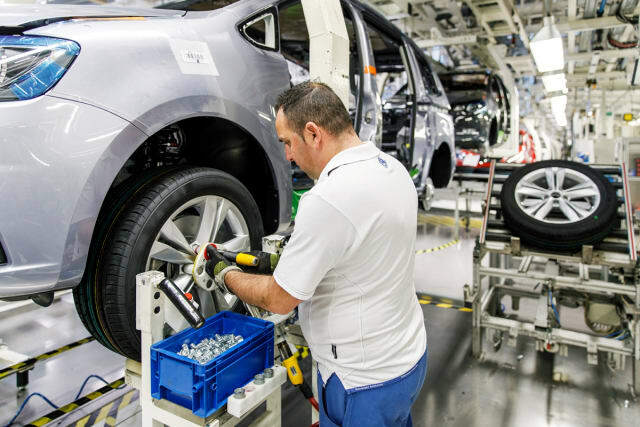 As Volkswagen Autoeuropa team members bolt components together along the assembly line, these manufacturing aids make it possible for employees to perform tasks quickly and precisely. Historically, Volkswagen Autoeuropa has had to rely on third-party service providers to manufacture tools for every new assembly run. The entire process of outsourcing for manufacturing aids not only costs more for the manufacturer, but also delays the production process. In addition to the paperwork and time associated with sourcing suppliers, the company had to rely on a trial-and-error approach to using new tools, testing them and requesting revisions from the supplier. In 2014, however, Volkswagen Autoeuropa began leveraging low-cost FFF 3D printers from Ultimaker to bring the toolmaking process inhouse. Additive manufacturing (AM) has some well-documented advantages over traditional forms of production that make the technology especially suited to fabricating tools, jigs and fixtures for a manufacturing operation. With the ability to translate a CAD file directly into a physical object, it’s possible to create custom items on demand. Without the need for expensive molds or CNC machining, one-off parts can be 3D printed for a specific task at a fraction of the cost. This is particularly important for manufacturing tools that may be used infrequently for a specific job. Additionally, due to the additive nature of the technology, 3D printing enables part features that cannot be made with any other technology to be produced, including complex geometries with cavities, overhangs and undercuts. 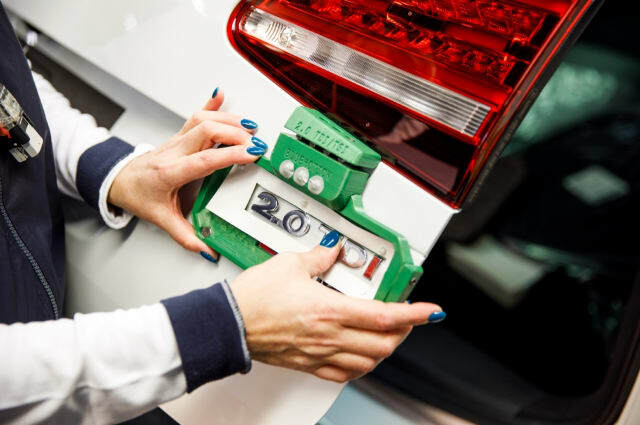 Once Volkswagen Autoeuropa introduced FFF 3D printing to its manufacturing operation,these benefits soon came into play. As a means of reducing the company’s reliance on third-party suppliers, the production engineers, CAD designers and technicians first review the production and quality control processes, looking for areas where 3D printing might have some benefit for producing gauges, jigs and fixtures. After the designs are created, they are sliced in Cura, Ultimaker’s free 3D printing management software, and sent to the printer, located alongside the assembly line, to be produced overnight. When the crew comes in the next morning, it can begin immediately taking advantage of the new tools. Upon feedback regarding the tools’ utility, quality and ergonomics, shop floor operators can offer feedback, verification and review. This concept of “just-in-time inventory” makes it possible to more quickly reiterate the designs so that the shop floor can begin using new designs immediately upon fabrication. 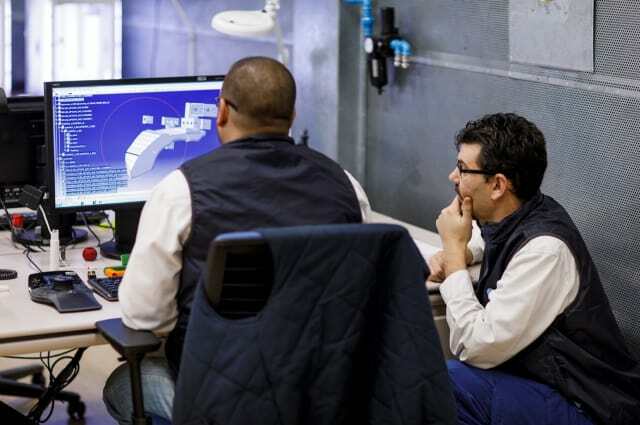 “With Ultimaker, we have more autonomy, and this status allows us to be fast on product optimization and the creation of production support tools,” Luís Reis, Pilot Plant engineer at Volkswagen Autoeuropa, contributed. 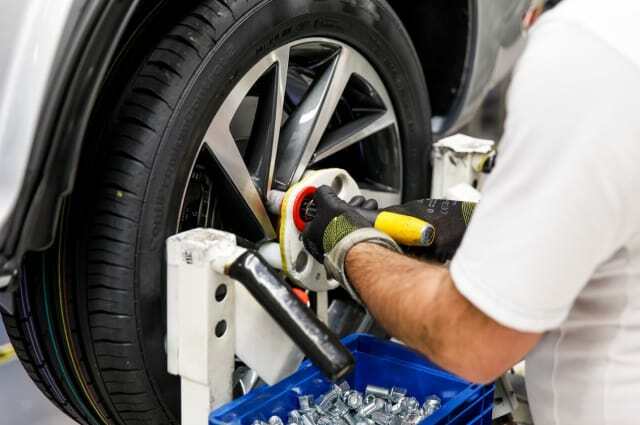 Among the tools created so far by the company are a positioning and screw assembly, referred to as a “poka-yoke,” which prevents wheels from being scratched or damaged during the assembly process. Outsourced to a third party, this device would cost €800 per part and take 56 days to receive an adequate tool. With the Ultimaker, the cost is just €21 per part, with a 10-day turnaround time. Volkswagen Autoeuropa also uses a liftgate badge to properly, repeatedly and efficiently position the 2.0 TDI emblem for the Sharan. This would cost €400 per part and require a 35-day turnaround time with an external supplier. With in-house FFF 3D printers, the cost was reduced 40 times to just €10 per part and only takes four days to obtain a proper badge tool. An aid meant to assist operators while they perform fuel filler cap preassembly that previously cost a whopping €600 and 49 days to complete was dropped down to €12 per part and just 7 days to produce. 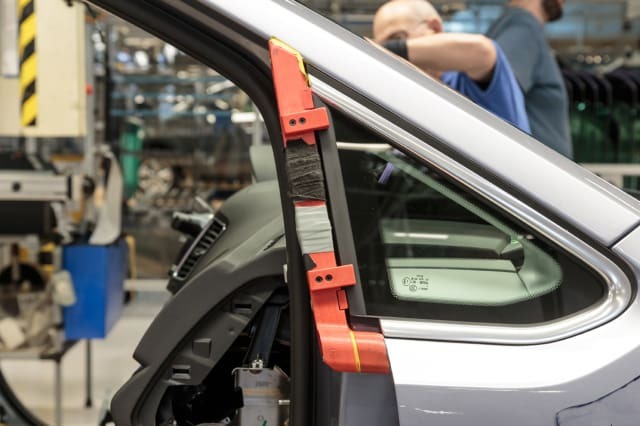 A triangular window gauge, which is used to position the rear quarter window of a vehicle with the greatest accuracy and most consistent finish, would cost €180 per part and take 8 days to complete. 3D printed in house, the gauge takes only 6 days to produce and costs only €35 per part. 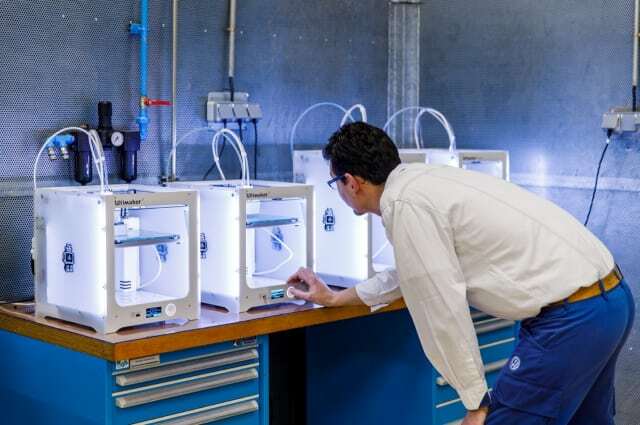 Volkswagen Autoeuropa now has seven Ultimaker 3D printers that allow the company to produce 93 percent of all previously outsourced tools inhouse. This adds up to an estimated €150,000 in savings for 2016 and a target of €250,000 in savings for 2017. 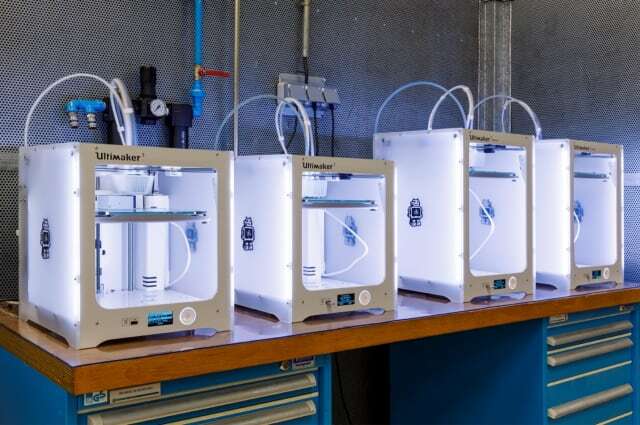 In addition to the Ultimaker 2+ printers that Volkswagen Autoeuropa initially brought inhouse, the company has purchased what appears to be the Ultimaker’s most capable printers to date: the Ultimaker 3 and Ultimaker 3 Extended. These systems are meant to be easy to use and affordable, while also including some important features previously not available. One sought-after feature is dual extrusion, which provides the ability to print soluble supports. This enables the production of complex geometries, voids, overhangs and other characteristics not possible with a single material extruder. Dual materials can also be printed with these machines, allowing for unique material combinations and colors. Because the systems are open to third-party materials, users aren’t as limited in terms of material choices. In the case of Volkswagen Autoeuropa, the company was able to have a custom formulation made for high mechanical and impact resistance. Like the material system, Ultimaker’s software, Cura, makes it possible for advanced users to tinker with the machines’ settings. This can be important for specialty materials or custom printing parameters. An automated nozzle lifting system and bed leveling shorten setup time while increasing repeatability of prints. This, combined with integrated Wi-Fi support, remote monitoring via webcam and a user-friendly LED interface, make the Ultimaker 3 line suitable for an office or production environment. These features, when combined with the accessibility and ability to add additional printers to the network, makes it possible to bring FFF 3D printing in-house. As Volkswagen Autoeuropa has demonstrated, once a smaller number of machines is adopted, one can obtain a return on investment in two months and more printers can be added to create an entire farm, if necessary. It’s interesting to think that 3D printing, a technology previously associated with prototyping, has proven so valuable to a company like Volkswagen Autoeuropa in such a unique way. By simply using desktop FFF 3D printers to produce manufacturing tools, the company has been able to streamline its workflow and save money. Given the exact figures provided by Volkswagen Autoeuropa, it wouldn’t be surprising if other large manufacturers follow suit.